The official international trailer for Petzold's thriller, which reimagines WWII in the modern era. 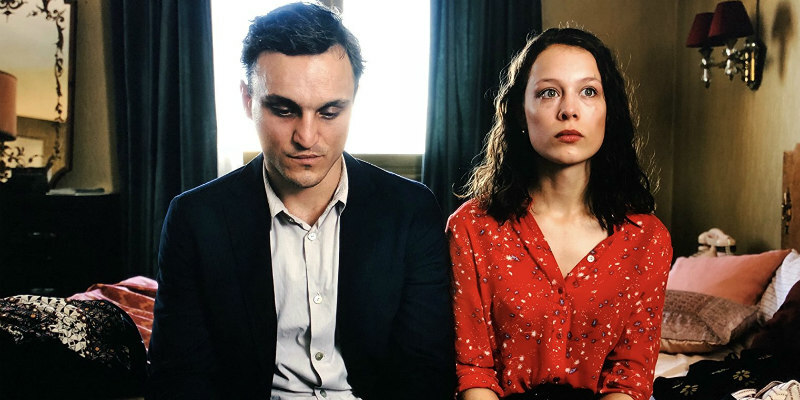 Transit sees German filmmaker Christian Petzold (Phoenix) recontextualise Anna Seghers' World War II novel of the same name in the modern world, with German Nazi troops rolling into contemporary France. Victoria's Franz Rogowski plays a refugee attempting to depart Marseille for Mexico, with Frantz's Paula Beer as the mysterious woman whose allure threatens to derail his plans. Transit opens in Germany and France in April, but a UK/ROI release has yet to be announced. In Marseille, only those who can prove they will leave, may remain. Visas for possible host countries, transit visas, and those scarce tickets for passage by ship are much needed. Georg has memorized Weidel's papers and assumes his identity. He delves into the quasi-existence of flight: refugee chatter in the corridors of a small hotel, the consulates, cafés and bars that line the harbor... He befriends Driss, the son of his comrade Heinz, who died on the run. Why move on at all? Are new beginnings possible elsewhere anyway? Everything changes when Georg falls in love with the mysterious Marie. Is it devotion or calculation that has led her to share her life with a doctor, Richard, before journeying on in search of her husband? He's said to have surfaced in Marseille in possession of a Mexican visa for him and his wife.